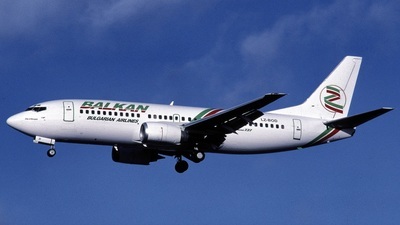 Note: Former Bulgarian airline Balkan arrives from Sofia , on this cloudy day in Brussels. 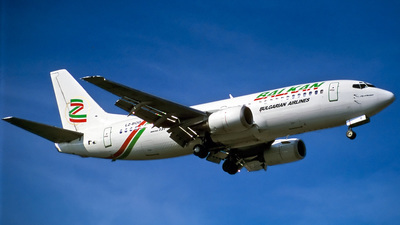 Note: (23749/1389) Delivered to Air Europa on 22 May 1987 as EC-ECR. 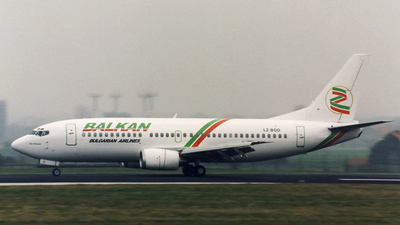 Flew from December 1999 until March 2001 for Balkan as LZ-BOD. Today this 737 is flying for Pace Airlines as N373PA.